Silicone baking mats, an adjustable rolling pin, and Tasty baking sheets, and 19 more affordable baking products every newb needs. These'll help you rise to the occasion! 1. Silicon baking mats so you'll never have to lose a single crumb of your precious cookie creations to the tyranny of a sticky pan. Get a pack of two from Amazon for $9.62. 2. A set of six super-durable measuring spoons narrow enough to slide smoothly into any spice jar. Get the six-piece set from Amazon for $9.97 (available in rectangular and oval). 3. Or a set of color-coded measuring cups and spoons to bring precision to your baking and brightness to your kitchen. The cups and the spoons both come in a set of five increments. Get it from the Tasty collection at Walmart for $5.97. 4. An adjustable rolling pin with rings for 1/16-, 1/6-, 1/4-, and 3/8-inch thicknesses, to help you roll out your dough uniformly every time — even if you have the spacial awareness of Mr. Magoo. Get it from Amazon for $15.99+ (available in multicolor and blue). 5. A collapsible silicone double boiler so you can melt chocolate without scorching it. Get it from Amazon for $11.19. 6. A dough scraper/shovel for scooping, scraping, slicing, and generally making you appear far more competent in the kitchen than you actually are (I won't tell). Get it from Amazon for $4.59+ (available in four colors). 7. A silicone pastry brush so you can brush your biscuits with butter and your pies with egg wash and your life with fresh-from-the-oven happiness. Get it from Amazon for $7.99+ (available in small and large). 8. A two-pack of silicone-handled cookie sheets, because you know you're not making just one pan of cookies. What's worse than having to bake cookies in shifts because you only have one cookie sheet? Okay, a lot of things, but this is one you can actually solve! Get it from the Tasty collection at Walmart for $17.19. 9. A collapsible three-tiered cooling rack, just in case you decide to actually wait till your cookies are cool before shoving them all in your mouth (seems impossible, but different strokes!). Promising review: "I don't really like to cook, and I don't bake all that often, but what kitchen DOESN'T have to turn out batches of cookies or pies or muffins or something like that for school, a potluck, a charity event, or the holidays? The wonderful thing about these racks is that they don't take up much room in your cabinet, so you don't have to feel bad about having them even if you only use them once a year. And they can go through the dishwasher! I sometimes get kitchen gadgets I don't really need, but I have no regrets about these puppies." —D.S. Get it from Amazon for $8.77. 10. A cake decorating kit — including 36 icing tips, two silicone pastry bags, two flower nails, and two plastic couplers — because you're an artist, and the pastry is your canvas. 11. A digital scale to weigh your ingredients, because when it comes to baking, precision is everything. 12. A silicone spatula so you can scrape every last drop of batter out of that bowl. 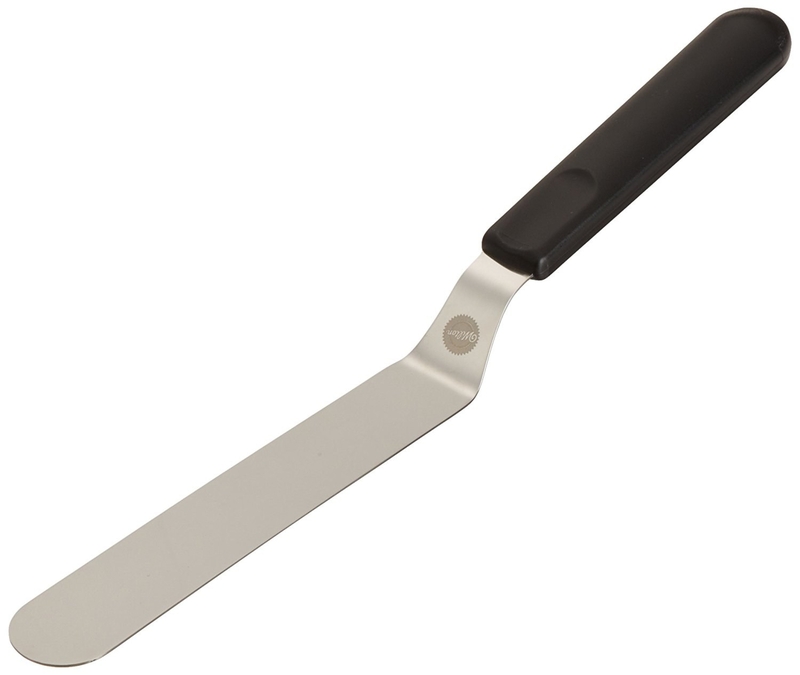 Promising review: "This is the best silicone spatula I have used. It's flexible enough to be able to reach in the nooks and crannies to get all of your mix. However, it's also stiff enough that it's easy to maneuver all of your batter. It's in one piece so I don't have to worry about the blade popping off, food getting stuck in between the handle and the blade, etc. I highly recommend any of the sizes of this spatula!" —Kathleen B. Get it from Amazon for $10+ (available in four sizes and 13 colors). 13. Flaky sea salt, which, sprinkled on top of any baked good, is scientifically proven to improve its taste (it's like savory fairy dust). Get an 8.5-ounce box from Amazon for $6.97. 14. A set of two 10-inch springform cake pans to make it easy to extract your cakes when they're done baking (no shaking, knife-prying, or cursing required). Springforms are magic! 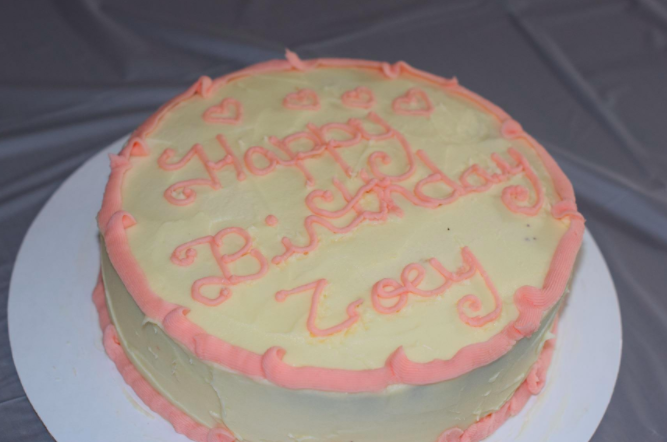 You just have to unlock the little lever and the pan's sides life away from your perfect cake. Get it from the Tasty collection at Walmart for $17.74. 15. A wire whisk, because when you're trying to make perfectly blended batters, a fork isn't going to cut it. Promising review: "Did my research and decided that this was the best universal whisk for just about anything that you would need in your kitchen before getting out the beaters. Of course OXO is the top line when it comes to utensils in the kitchen. And I love the way that this whisk is perfect to get down into a deep mixing bowl or easy enough to use on a small skillet when you are making a reduction sauce. Love how there is a whisk inside a whisk that allows for perfect distribution of ingredients. Nice handle, and dishwasher safe." —Kyle T.
16. And a hand mixer, for when you need a little more horsepower in your blending. Get it from Amazon for $12.96. 17. A set of six microwave-safe nesting bowls so you'll be prepared for all baking contingencies, even if your kitchen is miniature. Get the set of six from Amazon for $18.98+ (available in 10 color combos). 18. A set of two silicone-handled loaf pans, because you + carbs is truly the greatest loaf of all. These will rise to the occasion, every time. Get it from the Tasty collection at Walmart for $13.74. 19. An angled icing spatula to make frosting cakes with buttercream a butterdream. Get it from Amazon for $4.97+ (available in 9-inch and 13-inch). 20. An oven thermometer, because you should never trust your oven's dial when cookies are on the line. 21. A multipurpose pastry blender, which will cut butter, mash fruit, and chop nuts to perfection. Get it from Amazon for $9.97+ (available in two sizes). 22. A lovely antique-style cake stand that will make even the homeliest cake look fancy AF. Get it from Target for $19.99. Baking? Pssh, you got this! Check out the entire collection of Tasty kitchenware at Walmart here!